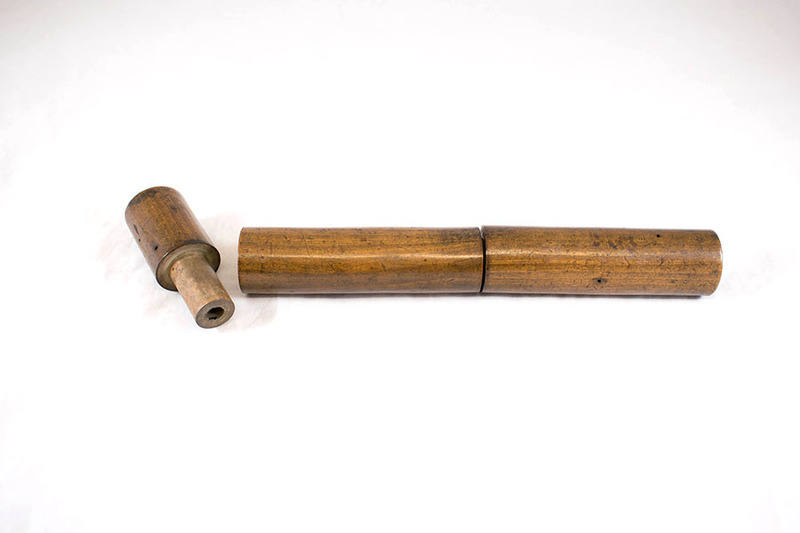 Laennec stethoscope, wood, early 19th century. 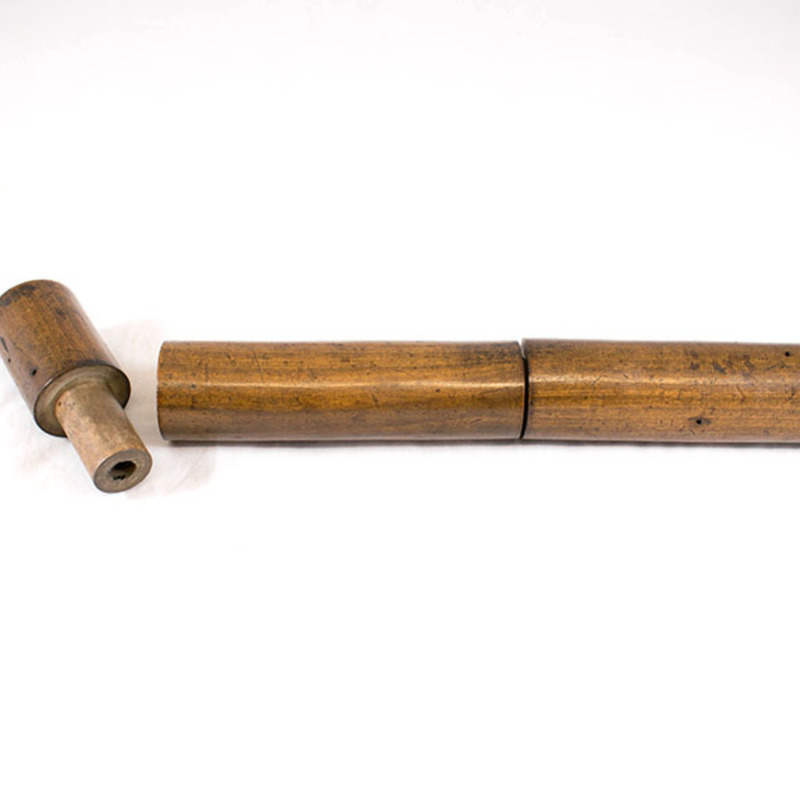 Early monaural stethoscope as devised by Dr Rene Laennec, early 19th century. 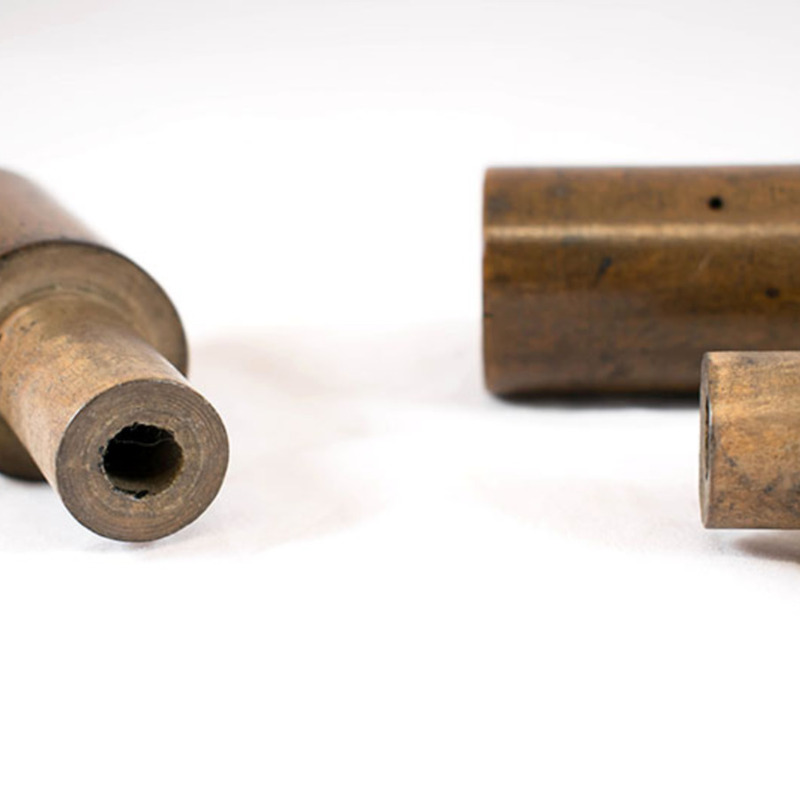 The Breton doctor, Rene Laennec of Quimper (1781-1826) first invented the stethoscope in 1816. 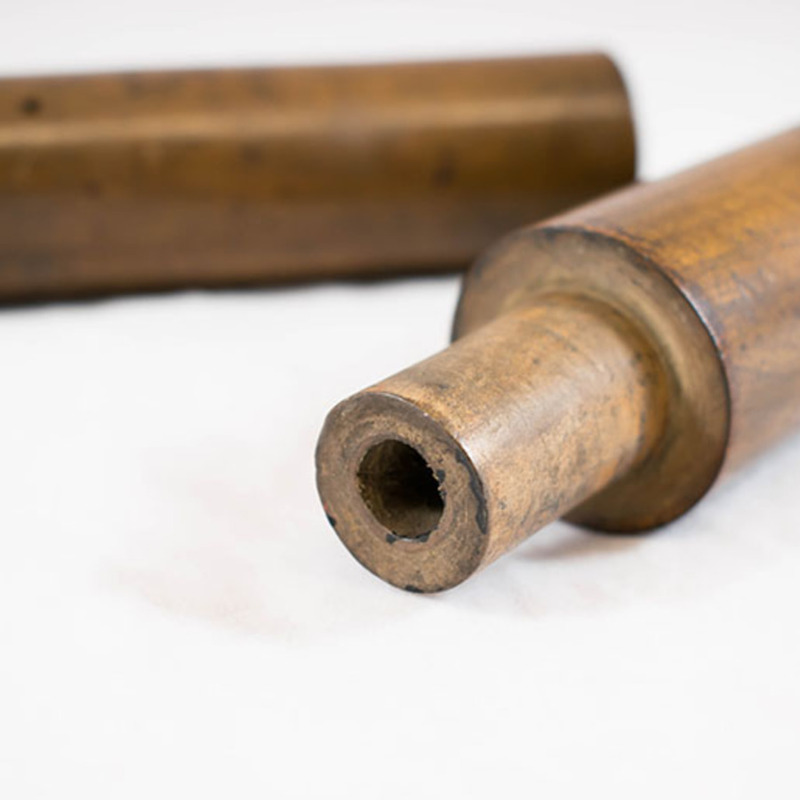 Confronted by a stout woman with an apparent heart condition, Laennec found that he was unable to use hand or ear to examine the patient without embarrassment, so he used a tightly rolled sheaf of papers, one end of which he placed against the precordial region and the other to his ear. He was able thereby to hear the heart with greater clarity than he had ever done before. 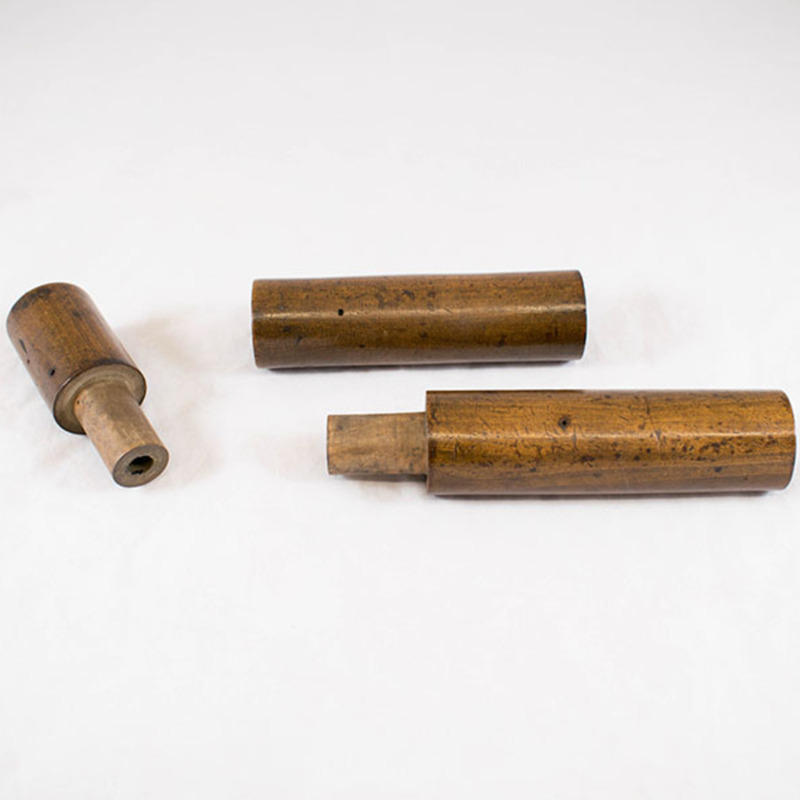 Laennec developed a stethoscope which consisted of a simple wooden cylinder that could be unscrewed in the middle for carrying in the pocket. 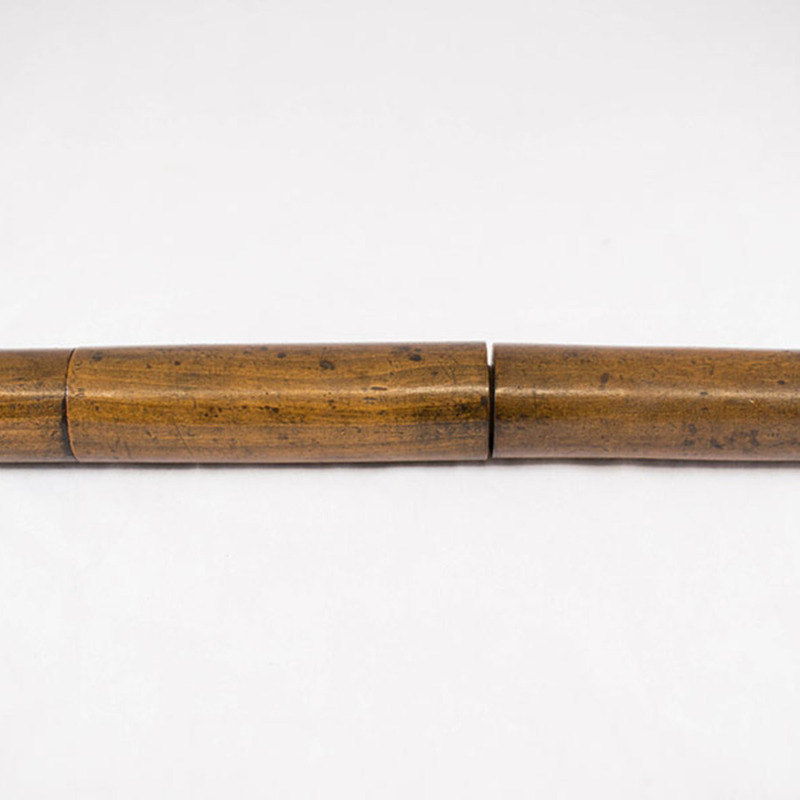 Rene Laennec, “Laennec Monaural Stethoscope,” Heritage, accessed April 22, 2019, https://heritage.rcpsg.ac.uk/items/show/166. 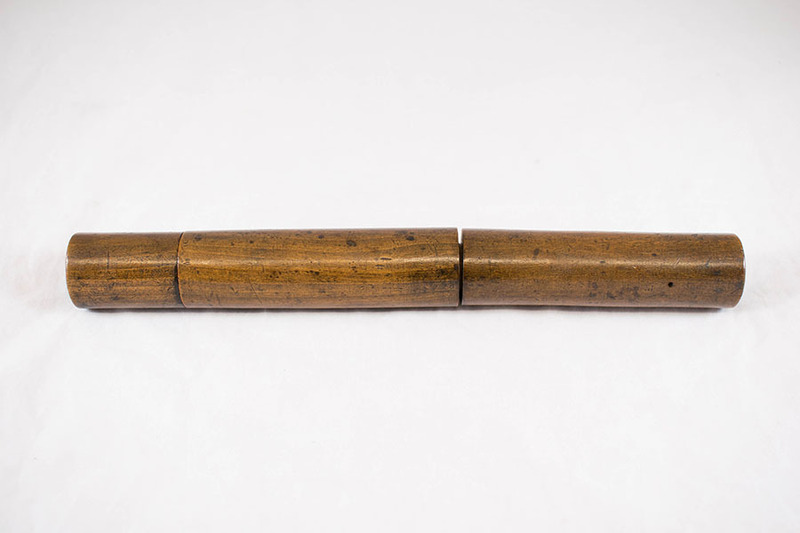 Description: Laennec stethoscope, wood, early 19th century. 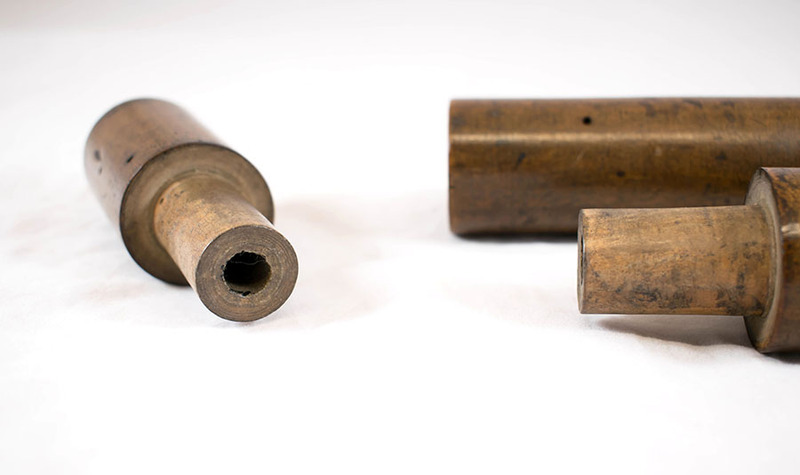 Early monaural stethoscope as devised by Dr Rene Laennec, early 19th century. The Breton doctor, Rene Laennec of Quimper (1781-1826) first invented the stethoscope in 1816. 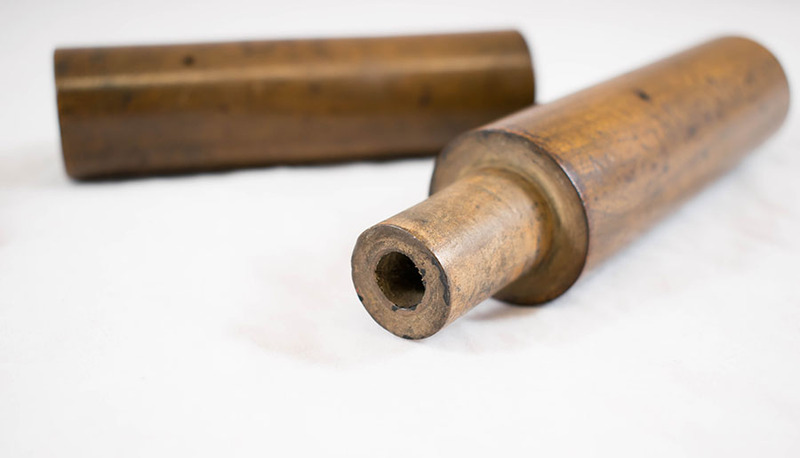 Confronted by a stout woman with an apparent heart condition, Laennec found that he was unable to use hand or ear to examine the patient without embarrassment, so he used a tightly rolled sheaf of papers, one end of which he placed against the precordial region and the other to his ear. He was able thereby to hear the heart with greater clarity than he had ever done before. 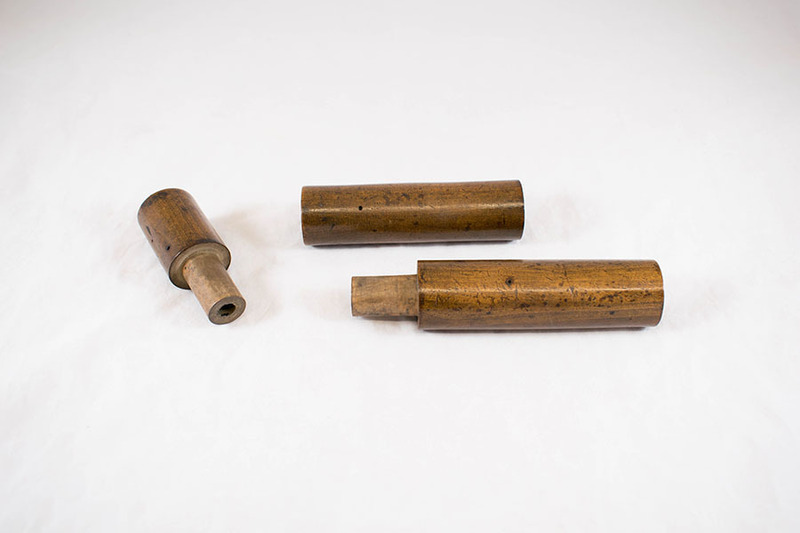 Laennec developed a stethoscope which consisted of a simple wooden cylinder that could be unscrewed in the middle for carrying in the pocket.